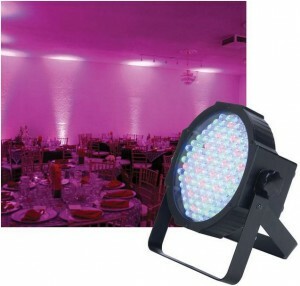 Create wonderful lighting effects with LED up-lights. Choose one of 256 colors, or have colors fade or dance to the beat! Low power consumption allows for one outlet to be used for up to 12 lights.